We have full team of expert mechanic's on hand to cater for your car related needs. We are a Michelin accredited fitting center and offer high quality work and excellent value for money. *NCT Preparation - All NCT prep work carried out. *Alloy Wheel Repair - We can weld and straighten alloy and steel rims. You have the right to repair or improve the things you buy. If you want to paint racing stripes on your car, go for it! Ownership means you should be able to open, hack, repair, upgrade, or tie bells on it. Once you’ve paid money for a product, the manufacturer shouldn’t be able to dictate how you use it—it’s yours. European Union competition law exists to prevent anti-competitive practices and abuse of companies' dominant market positions. But, in recognition of the unique technical complexity of their products, the motor industry has – since 1995 – enjoyed a so called 'block exemption' from some aspects of competition law. Under the Motor Vehicle Block Exemption Regulations (BER), the industry was allowed to continue to operate a franchised dealer network, controlling who would sell their products and where they could do so – a selective and exclusive distribution network in the jargon. This wasn't complete exemption though and the BER included clauses protecting consumer rights regarding service and repair. 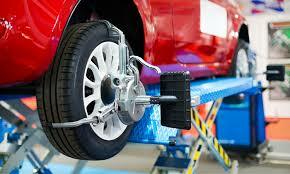 We offer a Full accurate 4 Wheel Alignment service. For details and bookings call us on 074 9121174 ext1. 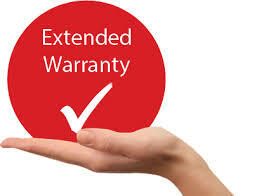 For peace of mind we can arrange extended warranty on all parts.